Mobile technology is how this generation learns so trying to fight it is only going to be a huge waste of time for educators. We live and work in a world full of mobile devices, so schools need to adapt to the times and start taking advantage of their capabilities as learning technology in the classroom. This way students learn how to utilize them appropriately and respectively. The capabilities of mobile devices on school wireless networks are endless. 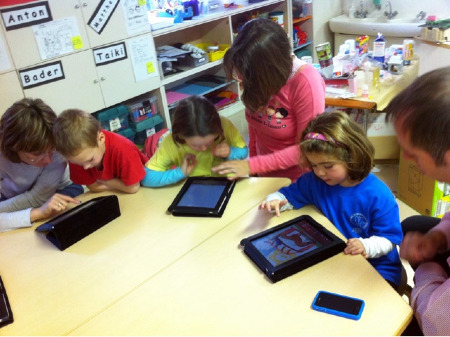 From their use as textbooks to interactive learning games; BYOD in schools can engage every type of learner. Just about every school is thinking about BYOD and all the possible problems or reasons why they think their school shouldn't implement it. Well, I am here to give you a few solutions to some common concerns about BYOD implementation in school wireless networks so hopefully you can begin planning to enhance your educational program with BYOD integration. Solution: This is probably one of the most common concerns amongst educators, but there are ways to get low income students their own technology. Holding an annual technology fund raiser is one good way to raise money for technology for students. 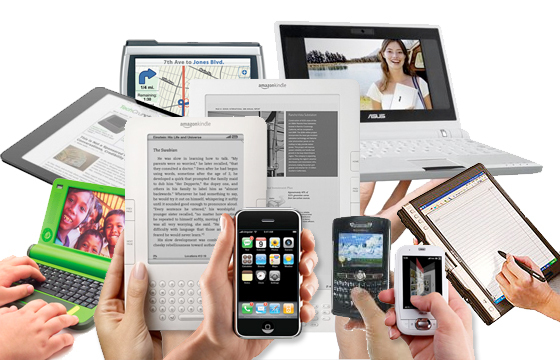 You can start a technology leasing program for your school where students check-out or rent devices. There are also some other ways like sponsorship, donation programs, etc. Check out this article Ideas for Bringing Your Own Device (BYOD) Even If You Are Poor for a great list of ideas. The point here is don't use this as an excuse to not implement BYOD. There are too many ways to help bring technology to students. Solution: Teachers don't have to be experts on all the technology that students bring. Most students are already using it daily so they are already experts. Educators just need to plan and focus on how they will use mobile technology as a learning tool to best pursue their learning goals. Solution: Many think BYOD in schools will cause distracted students, but think about how many students are already sneaking and playing with their phones and iPads during class already anyways. As I said earlier this generation lives, breathes, and learns with technology. With the right guidelines and rules in place students will actually be more engaged in the classroom. Students will be more connected and will be using their device as a learning tool instead of sneaking and using it inappropriately. This also opens up the opportunity for learning to extend outside the classroom. For example they can finish the next level of their math game after class to get ahead of their buddies. Mobile technology is the one thing that will always grab students’ attention, so why not use it to your advantage as a learning tool to get students more engaged. If you weren’t considering it before or were having doubts I hope you will consider it now, the benefits of BYOD to students and teachers are limitless. Of course you probably have more concerns than are listed here. Implementing BYOD into your school is a big project and it all starts with setting up the right wireless infrastructure which is what experts are in. If you’re a school needing help with any of these things or have any concerns or questions about setting up BYOD, we offer a free consultation to help get you pointed in the right direction, just contact us here. We also have some great resources on the site like our Free Guide to Preparing your network for the iPad. Good luck!